»Politics»A Moratorium on Evidence and Reason? A Moratorium on Evidence and Reason? Today a federal judge in the District Court of Hawaii heard arguments on a challenge to the validity of an initiative that voters passed last November in Maui County that puts a moratorium on the cultivation of genetically engineered crops. A concise perspective on the initiative is provided by Dr. Ania Wieczorek at Biotech in Focus. The judge’s ruling will likely rest on whether the county can impose additional regulations (called for in the moratorium) beyond those required by state and federal agencies. The common misconceptions and misrepresentations surrounding agricultural biotechnology are found throughout the initiative document, and this provides an opportunity to compare them with scientific evidence. The justification for the moratorium is found in the ‘Findings’ section. It appears that the authors of the initiative have a poor understanding of science and agriculture and provide no evidence for the many assertions made. We all want a safe environment in which to live, safe food and a diversified agriculture that complements our tourism dominated economy. That doesn’t mean we should take a vacation from evidence and reason by denying that regulations and safeguards are already in place and are serving us well. I have reproduced the findings section below and have responded in bold italics with links to evidence, scientific publications, and documents from regulatory agencies that address many of the allegations. 1. The rapid and unregulated growth of commercial agricultural entities engaged in the cultivation and development of GE Organisms threatens the stability and growth of Maui County’s agricultural economy, the health of its citizens, and its environment. Moreover, the lands of Maui County and the water surrounding it have cultural and spiritual significance to the indigenous people of Hawaii. 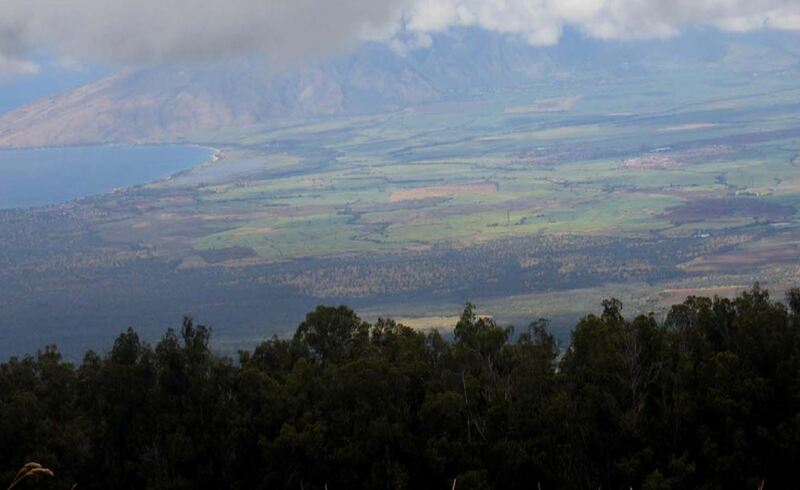 This cultural and spiritual heritage will suffer irreparable harm if the natural environment of Maui County is contaminated by GE Operations and Practices. Response: Cultivation and development of GE crops is highly regulated, by USDA APHIS, FDA and EPA. For specifics in Hawaii, see USDA Regulation of Biotechnology Field Tests in Hawaii, USDA APHIS, BRS Factsheet, February 2006. Also see EPA’s web sites on registration, regulation and use of pesticides. The National Academy of Sciences, American Medical Association, World Health Organization, and the American Association for the Advancement of Science have repeatedly reviewed and affirmed the safety of GE crops and food. 2. Maui County residents have a right to decide if the risks associated with the GE Operations and Practices are unacceptable and to take action to suspend such Operations and Practices. Response: Maui County residents have the right to continue to grow GE crops in their gardens, such as papaya, and commercial agricultural operations have the right to continue to farm GE crops in accordance with federal and state regulations. 3. GE Organisms are not part of the natural environment of Maui County and instead exist in the County as a possible invasive species. Protection from the possible threat of damage and/or potentially irreversible alteration of the environment and cultural heritage from the threat of invasive GE Organisms is supported by the Hawaiian Public Trust Doctrine, the Hawaii State Constitution, and other State and County environmental laws. Response: The only plants in Maui County that are part of the natural environment are those remaining from before human contact. Certainly, highly bred commercial onions, cabbage, lettuce, papaya, banana, mangoes, and just about all crops we grow, are not. GE crops are then no different in this respect. 4. The genetic engineering of plants and animals often causes unintended consequences. Manipulating genes via genetic engineering and inserting them into organisms is an imprecise process. The results are not always predictable or controllable. Mixing plant, animal, bacterial, and viral genes through genetic engineering in combinations that are not selected for in nature may produce results that lead to adverse health or environmental consequences and threaten Maui County’s cultural heritage, Environment and Public Trust Resources. Response: Unintended effects from plant breeding are described in the scientific literature. To date, the documented unintended consequences specifically from genetic engineering include substantial reduction in mycotoxin content in Bt corn, increased lignin in Bt corn, and GE petunias with diminishing color over generations. Any method of breeding can have unintended results, and products from GE breeding are the only ones thoroughly assessed prior to marketing. GE is the most precise plant breeding technique available. 5. GE Operations and Practices can have serious effects on the environment. For example, in 2013, 93 percent of all soy grown in the U.S. was engineered to be herbicide resistant. In fact, the vast majority of GE crops are designed to withstand herbicides, and therefore promote indiscriminate herbicide use. As a result, GE herbicide-resistant crops have caused 527 million pounds of additional herbicides to be applied to the nation’s farmland. These toxic herbicides damage the vitality and quality of our soil, harm wildlife, contaminate our drinking water, and pose health risks to consumers and farm workers. Response: The USDA Economic Research Service’s comprehensive study on Pesticide Use in U.S. Agriculture: 21 Selected Crops, 1960-2008 provides the actual data; since peak applications in the mid-1980s, the amount of herbicide applied to all US soybeans is down almost 25% along with a 33% reduction in pounds of active ingredient applied per acre, even with increased acreage. Similarly, they show that herbicide application to all 21 crops is less than the mid-1980’s peak, and they compare the same trend reported by EPA for all pesticides. Box figure 4.1 on page 28 shows the GE crops and glyphosate have contributed to the trend of lower toxicity, lower application rate and lower environmental persistence of pesticides. The associated herbicides (glyphosate and glufinosate) for herbicide-tolerant GE crops are much less toxic than the herbicides they replaced, are used at lower concentrations, have a shorter half-life in soil, and are found in much lower concentrations in water than previous herbicides. See: The Impact of GE Crops on Farm Sustainability in the US, National Research Council, National Academies Press, 2010. 6. Increased use of herbicides in GE Operations and Practices has resulted in the rapid development and proliferation of previously unknown herbicide-tolerant superweeds. The proliferation of these superweeds threatens to overtake the habitat of native flora and fauna in uncultivated lands and forces farmers to use increasingly toxic and expensive herbicides to remove them from cultivated lands. Response: There is nothing new or ‘super’ about herbicide tolerant weeds; they are controlled with either an herbicide with a different mode of action or by tillage. Glyphosate is in sixth place among herbicide groups in terms of the number of resistant biotypes, behind chlorsulfouron, atrizine, dicolfop, 2, 4-D and paraquat. Herbicide resistant weeds are not unique to farming with GE crops, having arisen in the late 1950s, some 40 years before GE crops. Minimizing their occurrence and economic impact is important and a part of good agricultural management. See International Survey of Herbicide Resistant Weeds. 7. GE Operations and Practices and associated pesticide use pose a high risk of fostering rapid evolution of pests known as superbugs that become resistant to organic pesticides, to the detriment of conventional and organic farmers who are forced to use increasingly larger volumes and/or stronger pesticides to manage these new pests. Response: The major organic pesticide in common use by GE and organic operations is Bt. To date, the incidence of Bt resistance remains low with emphasis on abundant refuges and multiple-trait Bt crops. 8. In some GE Operations and Practices, multiple Pesticides are applied at the same time or applied in close time proximity to each other (“pesticide cocktails”). This practice is often being used on test crops in a trial and error manner to test and develop new Pesticide resistant Crops. In this process it is possible that new and unknown chemicals are created. Although individual Pesticides have been tested and regulated for their use in isolation, there has not been adequate testing and/or regulations concerning the various chemical combinations that occur during GE Operations and Practices, and few if any of which have been tested in either short term or long term animal or human studies. Response: All modes of agriculture (GE, conventional, organic) across the country use a mixture of pesticides, depending upon a myriad of changing conditions. EPA regulates pesticides including combinations, and routinely makes recommendations on mixing of products. Risks of possible unknown chemicals (theoretical as it is) would not be unique to use of GE compared to non GE crops. The EPA follows the recommendations of the National Academy of Sciences regarding risk assessment of formulated products with more than one active ingredient, tank mixes, and environmental mixtures. 9. Inadequate regulatory oversight at the county, state, and federal levels leave the citizens of Maui County with significant concerns regarding the immediate safety and long term effects of GE Operations and Practices threatening the integrity of Maui County’s cultural heritage, agricultural economy, tourism economy, and the health of its visitors, citizens, and the environment. Response: This appears to be a superfluous repetition – see response to Finding 1 above. 10. The rapid development and introduction of GE Organisms, combined with inadequate regulatory oversight at the state and federal levels, have left the citizens of Maui County with significant concerns regarding the long-term safety of GE Operations and Practices. The Hawaii Department of Agriculture does not have an adequate regulatory structure in place to monitor GE Operations and Practices or to aid in the understanding of the impacts of these Operations and Practices on Maui’s economy, environment, cultural heritage, or public health. The direct, indirect, and cumulative impacts on Maui County regarding the long-term intensive GE Operations and Practices and associated pesticide uses have not been properly or independently evaluated. 11. Agriculture is a [sic] important component of Maui’s agricultural economy. Organic agriculture is a rapidly expanding sector of Maui’s agricultural economy. Response: Yes, according to USDA’s latest National Ag Statistics Service’s annual survey and their latest Certified Organic Production Survey (Oct 2012), the sales of organic farm products in Hawaii of $7.475 million accounts for 1.2% of all agricultural sales, produced on 2,701 organic certified acres (1,049 in pasture/range), or 0.24% of the state’s agricultural acreage. 12. Maui County’s local economy is also dependent on the success of its tourism industry, which makes up the County’s largest employment sector. The protection of Maui’s land and waters is crucial to the continuing success of Maui’s tourism industry. 13. Maui’s agricultural economy relies on maintaining its reputation for high quality organic and conventional crops. Preserving the identity, quality, and reliability of Maui’s agricultural products and exports is critical to its economic well-being. Response: True, with the addition that Maui County’s agricultural economy also relies on the biotech seed corn crops. 14. The contamination of agricultural products with GE Organisms can have a myriad of significant impacts. Organic and many foreign markets prohibit GE products and even a single event of Transgenic Contamination can and has resulted in significant economic harm when the contaminated crops are rejected by buyers. Response: The predominant GE crops in Hawaii are seed corn and papaya. The papaya growers have established foreign markets which includes testing of non-GE papayas prior to shipping. According to the USDA NASS, in Hawaii there are two farms producing certified organic sweet corn and one farm producing certified organic corn silage/green chop; to date, no reports of economic loss from cross-pollination of non-organic corn are in the public domain. 15. Transgenic contamination can and does occur as a result of cross-pollination, co-mingling of conventional and GE seeds, accidental transfer by animals or weather events, and other mechanisms. Transgenic contamination results in GE crops growing where they are not intended. For example, since the introduction of GE papaya in Hawaii County (Big Island), more than 50% of the non-GE papaya crops on the Big Island have been cross-contaminated by GE papaya. Response: The 2006 report from GMO-Free Hawaii claimed that papaya seed collected from backyard gardens or wild trees from the Big Island had a 50% incidence of detectable GE seeds according to the results from a commercial lab. No further confirmation, publication or follow up study has been conducted other than UH CTAHR’s survey of papayas from across Kauai which found zero incidence for presence of GE papaya trees or their fruit. 16. Transgenic contamination prevents farmers and the public from having the fundamental right to choose whether or not to grow crops that are free from GE. Farmers and other parties who lose non-GE standing and markets through no fault of their own as a result of transgenic contamination have no adequate legal recourse. Response: There are no publicly available reports in Hawaii documenting loss of non-GE standing and markets due to cross-pollination from GE corn or papaya. 17. Currently, no mechanisms exist to ensure that transgenic contamination will not occur. Response: Cross-pollination in corn and papaya is well understood. In papaya, using hermaphrodite plants (combined with roughing out females) is the commercial standard, with self-pollination occurring at a very high rate before the flower opens, which greatly minimizes cross-pollination. In corn, it is well established from foundation and certified seed production that timing and distance are effective mechanisms for minimizing cross-pollination. 18. There are no known or proven scientific methodologies or procedures to recall GE Organisms or remediate/decontaminate the Environment from any damages once GE Organisms are released into the Environment and contamination has occurred. Response: Not so: a simple procedure is to cease planting of a given variety. Detection of unapproved StarLink corn in the food supply in 2000 led to an immediate halt in further planting combined with continuous monitoring for its presence in US corn supply. Six years of testing showed US corn to be 99.99% StarLink free, and EPA then submitted this data in their proposal to cease the monitoring. A graph of the screening results can be seen here. It was successfully recalled and caused no allergies. See: US EPA Office of Pesticide Programs, Concerning Dietary Exposure to Cry9c Protein Produced by StarLink Corn and the Potential risks Associated with Such Exposure, October 16, 2007. 19. 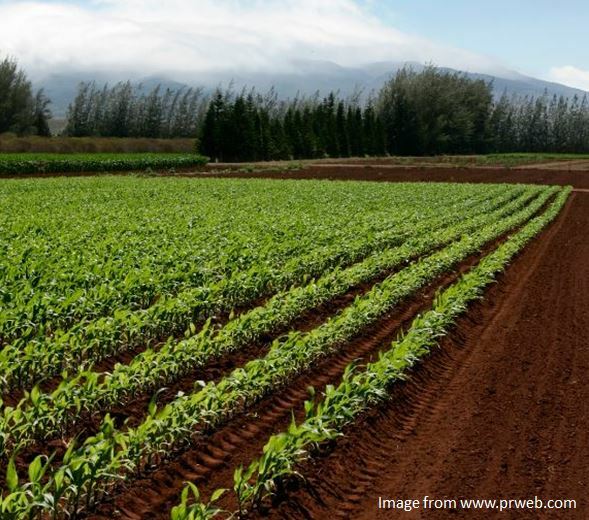 GE Operations and Practices in Maui County primarily involve seed crops and test crops that include aggressive and repeated use of pesticides before planting and during the growing cycle of these crops. Such Operations and Practices present risks and significant harm to soil resources. Some of Maui County’s soil microbes are harmed by the application of pesticides used in GE Operations and Practices. Response: Pesticides are used by conventional, organic and producers of GE crops. Best management practices should be followed by all. There is a lack of evidence to show that soil resources are differentially affected by pesticide regimes associated with the different modes of production. 20. Areas of Maui’s groundwater are already significantly contaminated with Pesticides, including DBCP and TCP, from former conventional pineapple growing operations. GE Operations and Practices in Maui County involve unprecedented use of Pesticides which greatly exacerbate an already existing problem. Response: Data from the Maui County Department of Water Supply on the wells at Hamakuapoko shows that the levels of these organic residues are very low, and after treatment with the installed granular activated carbon filters, the three target organic residues (DBCP, EDB and TCP) all were below the EPA limits and in almost all cases non-detectable. The Maui County Department of Water Supply could not detect glyphosate in any of 45 water sources. Also, the 2013-2014 State Wide Pesticide Sampling Pilot Project Water Quality Finding by HDOH, HDOA and USGS does not support this alleged finding; urban areas on Oahu showed the highest number of different pesticides, and Oahu’s streams had the highest number of different pesticides detected. There is nothing unprecedented about pesticide use by any type of agriculture in Maui County. 21. Many field sites are left fallow for significant periods of time while repeated Pesticide applications are applied. Pesticide laden water runoff from is [sic] exacerbated by repeated Pesticide treatments to fallow sites, presenting short and long term risks of significant harm to ground and surface water, beaches, and reefs. Response: What data there is (see the previous response) does not support this alleged finding. 22. Pesticide drift and fugitive dust from GE Operations and Practices present short and long term risks of significant harm especially to air resources, farm workers, and to persons living downwind from GE Operations and Practices. Response: The alleged finding is not supported by existing data. The Final Project Report for Kauai Air Sampling Study (Li et al., 2013) was conducted to address community concerns about possible pesticide residues and odorous chemicals in and around Waimea, Kauai. Results of indoor and outdoor air samples showed that those pesticides that could be detected were well below the health concern exposure limits or applicable screening levels. While this data was collected in Kauai, it is instructive for Maui County which has a similar mix of agricultural operations.